It’s our job to understand the risks you face as a property owner. 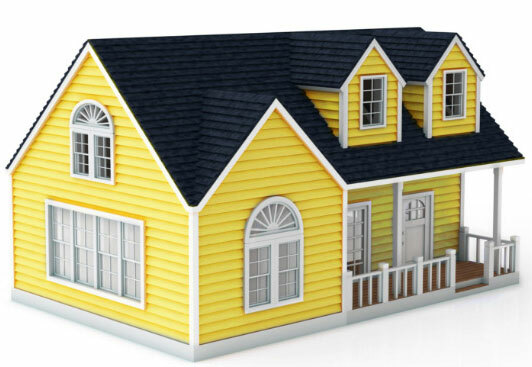 Whether it’s the roof you sleep under, a seasonal or secondary home, or an income property, we bring decades of experience to the table. More than someone in a call centre with a sales quota, we also have decades of claims experience, helping us offer advice you can trust when it matters the most. We’ll make sure that your home, belongings, and liability risks are insured properly, helping to protect what you’ve worked hard to earn. And when you suffer a loss, we’ll do everything we can to help you get your life back to normal as quickly as possible. If you have made changes to your home, we should talk. Highly-individualized rates can mean that updates to your home’s roof, furnace, or hot water heater can result in discounts to your property insurance. Your policy typically has a limit of insurance that’s based on the estimated cost to rebuild your home, substantial renovations or additions could result in the need to amend your policy. If you’re planning to change how your home is used, such as by taking in a tenant or starting a home business, give us a call so that we can make sure your policy provides the coverage that you need. Water damage is the leading cause of property losses in Canada, and the claims can be significant: the average Ontario water claim is now tens of thousands of dollars. Most home insurance policies will automatically include coverage for water from burst pipes or malfunctioning dishwashers, but coverages for sewer, septic or drain backup typically need to be added. Coverage for overland water, such as meltwater entering your home through a basement window, is also available. No two policies are the same and coverages, limits, and exclusions vary from company to company. The only way to be sure about how your policy is designed to protect you is to talk to your broker. We’re always here to help. There are often discounts available to people who live in newer homes, have home alarms, or are non-smokers. If you’ve successfully paid off your mortgage or are mortgage-free, many insurers will provide a credit. While there’s no rush, most companies offer discounts once you reach 50 or 55 years old, depending on the insurer. Some companies are able to perform a soft-credit check that can lower your rates, and of course combining insurance policies, such as by having your home and auto insurance with the same company can save hundreds of dollars a year. If you are now eligible for a discount that is not currently applied to your policy, or have any questions about how you may qualify for a discount, please give us a call. Tenant’s insurance is a very affordable way of insuring your property and protecting yourself from the costs of accidents that may leave you exposed to liability lawsuits. Without insurance, the cost of replacing your belongings could strain your finances and add incredible stress to your life. Even more importantly, you are legally responsible for most everything that happens in your home. If someone hurts themselves or damage is caused to the building due to your negligence, you could be held responsible. The liability coverage offered by an insurance policy protects you in these situations, all for a cost that’s often just a few dollars a week. I have been with Crewson Insurance for over 30 years and they have always given me their best - the best service, the best good will, and the best treatment!